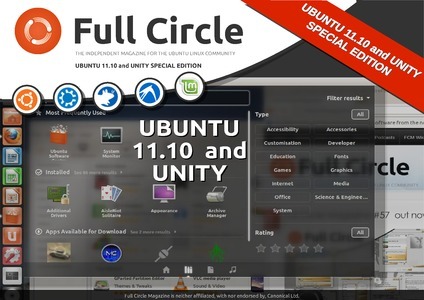 Full Circle Magazine just released a great introduction edition to the Ubuntu Unity desktop. If you have still not made the move to Unity, it is worth reading through this issue. If you have recently upgraded and a bit confused and want to get to know your Unity desktop more, this is a must read. Ive recently started using Ubuntu 11.10 with Unity exclusively now and find it to be very solid and stable. Yes, it take a bit getting used to but the more you give it a try the more it all makes sense and is easier than you might think.